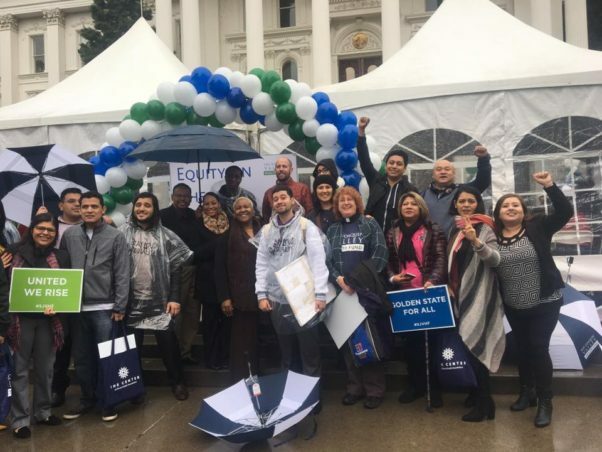 Activists from San Joaquin County traveled to Sacramento to push lawmakers to address problems ranging from discriminatory housing policies to to childhood poverty to pesticide use. Merced organizer Crissy Gallardo attended the event, organized by the San Joaquin Valley Health Fund, to support a proposed bill that would expand protections for California’s undocumented immigrants. “We want our state representatives to know that our community supports this bill as an important part of protecting everyone in our community.” Read more at We’Ced. This entry was posted on March 11, 2017 by Editor in Print, WeCed and tagged affordable housing, childhood poverty, undocumented immigrants.